Today I am showing you the first card that we made at my Button Buddies class a couple of weeks ago. 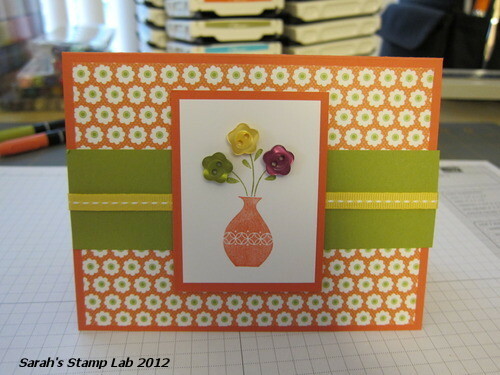 I love this set and using the coordinating Stampin' Up! Designer Buttons. Stay tuned for the next card from the class! Here are two sneak peeks at what we will be making at the Embellished Events class! Wowie! Super cheap Designer Series Fabric!! !